Camp Berger is asking all Grange members and friends of the Grange for their assistance in cleaning the Camp in preparation for the upcoming camping season. Clean-up Day will be held on April 24th, beginning at 9:00 AM. Camp Maud Isbell Berger, in it's 55th camping season, is located on scenic Park Pond in Winchester Center, CT. Volunteers are asked to bring rakes, brooms, and cleaning supplies to help in the process. Some of the jobs include cleaning windows and screens, wiping down walls, tables and chairs, sweeping floors, raking leaves, picking up garbage, cutting down and cleaning up tree limbs and deadfall, and making minor repairs. Following the Camp Clean-up, a dinner will be held at Winchester Grange Hall, beginning at 4:00 PM. The cost will be $5.00 per person. 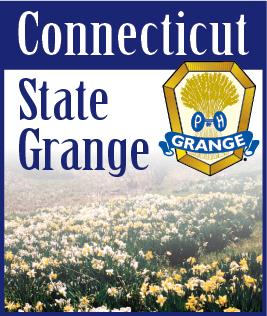 Following the meal, the Connecticut State Grange will hold their Pink Sash meeting, also at Winchester Grange Hall. Owned and operated by the Connecticut State Grange and open to all children ages 7-14, Camp Berger is is dedicated to providing an affordable camping experience for all children by keeping its rates among the lowest in the state. For more information on Camp Berger Clean-up Day, contact Camp Director Dorian Lockett at director@campberger.org. For more information on Camp Berger, visit their website at: www.campberger.org.